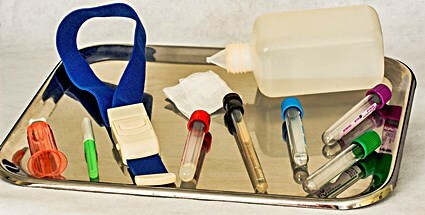 It is the job of a phlebotomist to draw blood from different patients. Difficult blood draws aren’t uncommon. They can include hard-to-find veins, blood draws on the elderly, or blood draws on overweight individuals. It’s important to have a guide to drawing blood from overweight or obese patients, to make sure proper steps are taken. According to the Center for Disease Control and Prevention, more than 1/3rd of the population of the U.S. is considered obese. Since 1980, obesity rates have doubled. Patients who are overweight can create obstacles for even extremely skilled phlebotomists. One of the most important things to keep in mind as a phlebotomist is to make sure you have the right tools and knowledge to work with obese patients. Phlebotomists that are ill-equipped to handle overweight patients may find themselves in a bind. It can be offensive to the patient. It can also limit what you’re able to do. You’ll find that it takes skill, experience, tenderness, and compassion to draw blood from an overweight patient. As a phlebotomist, keeping the patient’s feelings in mind is a huge factor. Additionally, making sure they’re comfortable, being able to find a vein successfully, and having confidence are all necessary. Let’s focus a bit more on these points. They all factor into a successful venipuncture when working with larger patients. Physical obstacles and limitations can become common for extremely obese people. Having improper facilities and equipment can be embarrassing for your patients, and also unsafe. Standard phlebotomy chairs may not be able to fit larger people comfortably. If an overweight patient doesn’t fit comfortably, it could become embarrassing for them. That embarrassment could discourage them from getting further healthcare. “Bariatric” chairs, designed with special armrests, are a much better fit for bigger patients. It’s also important to consider the size of waiting room chairs. Making your patients comfortable will likely encourage them to continue routine healthcare. According to the National Task Force on the Prevention and Treatment of Obesity, 22.5 of obese women alone have felt disrespected by healthcare professionals because of their weight. That kind of discouragement could potentially lead them to ignore future healthcare concerns. With obesity rates on the rise, these statistics of disrespect should start to decline. As a healthcare professional, it’s important to make every patient feel at ease. That starts with an experienced and compassionate attitude. It also should be linked to the healthcare facility you work for, and the accommodations they are willing to make for all patients. Correct positioning of a larger individual is not only crucial for comfort but also safety. It will also allow you to find a usable vein faster. To survey your patient for veins, make sure they are positioned with arms fully extended. This will help muscle and bone to push veins closer to the surface of the skin. If your patient is lying down, asking them to dangle their arms down can help. Using standard, one-inch needles may not be adequate for some larger patients. However, if you are going to use a larger probing needle, accurate vein location must be established beforehand. If you’re having trouble finding a good vein right away, ask your patient for help. Depending on the reason for their blood draw, it’s not uncommon for obese patients to be familiar with different health conditions. They may be used to getting blood drawn quite often. So, they may be knowledgeable when it comes to where draws usually work on their body. Asking them for that sort of preference can also help to make them feel more at ease and respected. Once the patient is safely positioned, a tourniquet will likely be needed. Standard tourniquets may not work on the extremely obese. They may not effectively constrict enough, and they can cause discomfort for the patient. In those cases, blood pressure cuffs can be a great alternative. They can provide adequate constriction, and won’t harm the patient. If a tourniquet alone doesn’t work, use a warm compress on the area of the vein. Apply it for 10-20 minutes. The heat can help to draw blood to the area and make a vein more visible. You may also encourage your patient to dress warmly the day of their draw, if possible. That can cut down on the time a warm compress is needed. Most healthcare professionals suggest that cephalic veins are usually better when drawing blood from an obese patient. However, in some cases, it may not be so easy to draw from the arm without a little extra help. These simple techniques can make it possible for your patient to feel comfortable while you find a suitable vein. Unfortunately, one of the most important things to consider when working with obese patients is discrimination. Statistics on disrespect are far too high. First and foremost, treating overweight patients like any other patient can make a huge difference. Making them feel comfortable in the environment and with your personality can make a better experience for you both. Drawing blood from overweight or obese patients may take a bit of extra effort. Finding a vein can be difficult. Standard tourniquets and other equipment may not be sufficient. But, with a few small adjustments and the right attitude, it doesn’t have to be an overwhelming process.